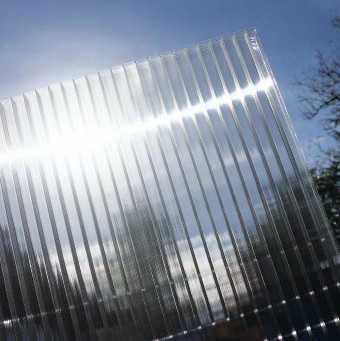 10mm Polycarbonate is supplied in Clear, Bronze or Opal. ‘U’ Value for 10mm Polycarbonate = 3.2 w/m2k. Applications include greenhouse and temporary glazing, carports, open-sided structures where good thermal insulation is not a requirement. I would recommend your affordable products (Multiwall Polycarbonate Glazing Sheets - Standard Rectangles | 10mm Multiwall Polycarbonate Glazing Sheets - Standard Rectangles | 10mm (Twinwall) CLEAR Polycarbonate, Standard Rectangular Sheet, upto 4,000mm long) to anyone else considering this product, as it has been superb. Omega Build Shop | Multiwall Polycarbonate Glazing Sheets - Standard Rectangles | 10mm Multiwall Polycarbonate Glazing Sheets - Standard Rectangles | 10mm (Twinwall) CLEAR Polycarbonate, Standard Rectangular Sheet, upto 4,000mm long. You are viewing Multiwall Polycarbonate Glazing Sheets - Standard Rectangles | 10mm Multiwall Polycarbonate Glazing Sheets - Standard Rectangles | 10mm (Twinwall) CLEAR Polycarbonate, Standard Rectangular Sheet, upto 4,000mm long, buy online today!